“Pukey Plaid” from Caffeinated Blessings. This “Floral Failure” from Randomness. Who has the ugliest sofa? they're all pretty ugly, but I voted for drug behind the truck. They're all just the ugliest thing I have ever seen! But the plaid wins! A beautiful slipcover would make those other two sofas fabulous! I had to vote for the plaid. 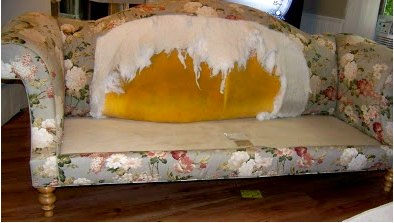 Not sure a slipcover could help that one! But you never know. I voted for pukey. I think I smelled the sofa when I looked at the picture! Hope she turns it into something fabulous!!! Come on people. My sofa BEGS of you to vote for her!! ha! I need to make a slip cover ASAP! I do happen to have some good compitition though, huh? Yeah, the pukey plaid takes the cake. 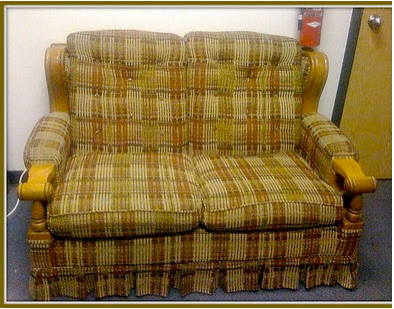 The others have some potential, but even a cute slipcover couldn't fix that plaid monstrosity! 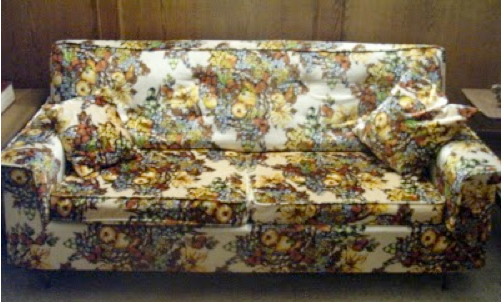 oh man, I was just reading the other blogs and realized me and floral failure are the ones that have to LIVE with our repulsive couches. Luckey girl , pukey plaid, You get to leave that couch behind on a daily basis, haha.